Vero Beach police officers will now be equipped with EVZIO (naloxone HCI injection) auto-injectors to handle drug overdoses. 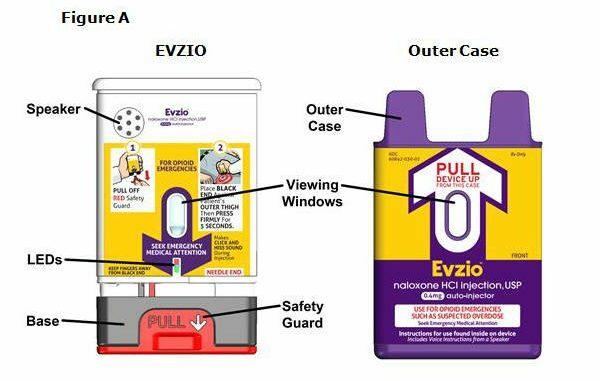 VERO BEACH – EVZIO (naloxone HCI injection) auto-injectors will be used by officers to help in the fight against opioid overdose deaths, according to police. The Vero Beach Police Department has received a donation of EVZIO naloxone auto-injectors from Kaleo, a Richmond, Virginia based pharmaceutical company. All sworn officers have been trained to administer the auto-injector in their capacity as a first responder in the event of an opioid overdose emergency. EVZIO is an FDA-approved naloxone product specifically indicated for the emergency treatment of known or suspected opioid overdose as manifested by respiratory and/or central nervous system depression and is intended for immediate administration as emergency therapy in settings where opioids may be present, including outside of supervised medical settings. Nearly 29,000 Americans died in 2014 year from prescription opioid overdose and unintended drug poisoning has surpassed automobile collisions as the leading cause of accidental death in the U.S., driven largely by prescription opioids. Opioid overdose can cause a person’s breathing to severely slow down and even stop. EVZIO is a pre-filled, single-use, hand-held auto-injector that works by temporarily blocking the effect of an opioid, potentially reversing the life-threatening respiratory depression and allowing the recipient to breathe more regularly. Each EVZIO device uses voice and visual cues to assist in guiding the user through the process and delivers a single 0.4 mg dose of naloxone. EVZIO is not a substitute for emergency medical care. The rising number of overdose deaths from opioid-based prescription drugs and heroin is one of the top concerns for our community. This product delivers a potentially life-saving dose of naloxone via a simple to use auto-injector system that is easy to carry and administer to someone experiencing an opioid overdose. With this donation, Vero Beach police officers will have an opportunity to make a real difference in the fight against opioid overdose deaths. EVZIO first became available in the United States by prescription in July 2014.